Model antique steam engine and coal car. What are my old model trains worth? It's a common question with a complicated answer. There are three good methods to place a value on model trains or any other collectible. Ultimately, the value of your trains is determined by the market itself. Simply put, they are worth whatever a buyer would be willing to pay for them. Today's online auction sites have opened up new avenues for buyers and sellers. Not only do you eliminate the middleman, but you also have access to a much broader market. Of course, there is always E-Bay for a broad search. A caveat, however, it can be much more difficult to compare their trains to your train when all you have to go on is a thumbnail image. Sometimes something as simple as the number on the side of the car can make a big difference in the value of a model. Also, as with any item, asking prices aren't sale prices. It's important to search sold items not just active listings. There are also auction and sale sites dedicated specifically to models trains. Trainz is a popular site. In addition to just browsing the auctions for prices, this site features information pages and are focused on collectors. Many forums have buy/sell groups as well. While there is a buyer for just about everything, certain trains have a larger collectors market than others. 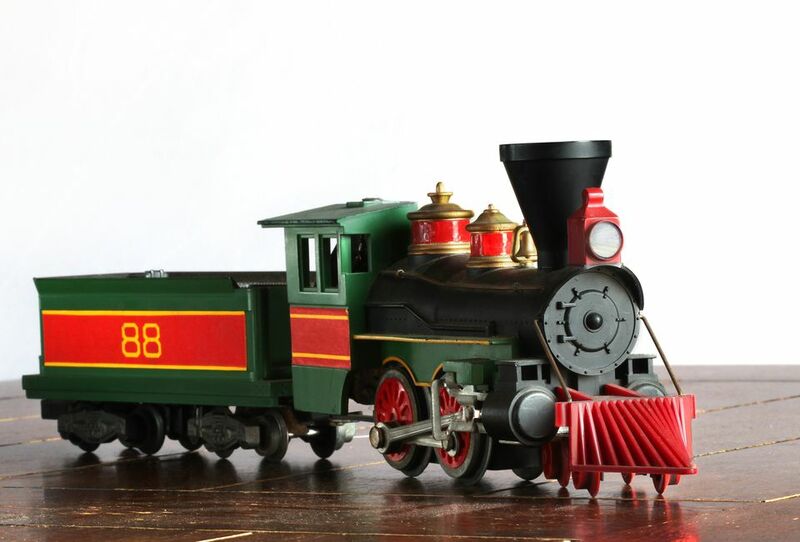 "O" Gauge trains of the 1950's for example, have been a prime collectors market for decades. As such, there are collectors guides written by those in the know to help others in the hobby put a value on what they have. In recent years, later-model O Gauge and even HO have grown in popularity. Collectors guides will break most models down by more than just product number. Condition and production run variations, and other details will be listed to help narrow your search and your value range. Just remember, a collector's guide is just that, a guide. These values are estimates, not quotes and they are only as accurate as they are current. Who shouldn't you ask? Store owners, dealers, and auctioneers may give you an answer, but you need to remember that they may have a motive. Museums and other non-profit collecting organizations have an ethical conflict of interest and most will not offer any appraisals as a matter of course. For an honest, unbiased opinion of value, your safest bet is a licensed appraiser. How do you find one? The American Society of Appraisers is an international organization which can put you in touch with the right appraiser for you. Expect to pay a fair price for the assessment, even if all you want is to satisfy your curiosity about those old trains in the attic and have no intention to sell. "It looks just like mine." Are you sure? Lots of small things can make a big difference in the value of your model train. Here are the basics to remember when comparison shopping and when talking to an appraiser. Condition: New-in-Box to Some-Reassembly-Required can have a big impact on what a collector is willing to pay. While the fact that condition affects value is obvious, remember that it is just one factor. Even parts can fetch a good price if they're the right parts. Also, trains that were cheap when new are likely to still be worth very little as collectibles compared to the higher cost and quality models. At the very least, it is a good idea to clean your models before getting an appraisal and test to make sure they operate. Rarity: Was this a one-time run or has this model been in production for thirty years? If everybody already has one, chances are they won't pay as much for another. Yesterday's flops can be tomorrow's sought-after collectibles. Here is where you have to learn the market. Variations: Even a long production run can yield prized collectibles. If a model was made for twenty years but only had a red roof for one of them, you can bet the red-roof version fetches a higher price. Modifications: Changes made to a model after its production change its condition. Some modifications that are good for operations, like replacing the motor, may depreciate values for a collector in search of something original. Adding details and changing paint can make a rare original worthless, or boost the price on a common item. The "It" Factor: Some trains just have "it." What is it? Call it universal appeal, call it popularity, whatever it is, some models are just more in demand. Ultimately, a train's worth isn't always determined by market value. Toy trains can be family heirlooms and connections to our past. An appraiser can value your trains; your memories are priceless.